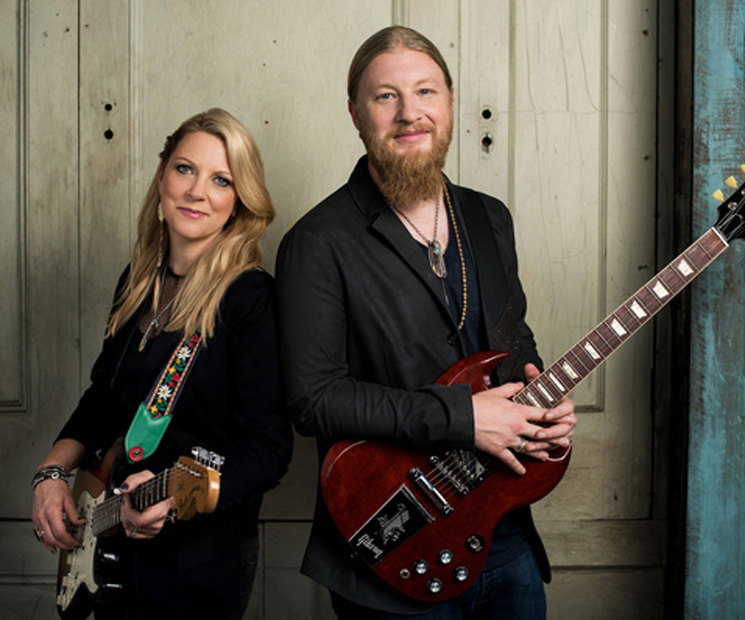 Fronted by two of the most respected musicians in the industry — guitar hero Derek Trucks (also of the Allman Brothers Band) and sublime vocalist Susan Tedeschi — Tedeschi Trucks Band boast an unmatched array of talent in their 12-piece lineup. But perhaps their secret weapon is bassist Tim Lefebvre, the wildly inventive musician with a background in the New York experimental jazz scene who has played with the group since 2013. A testament to Lefebvre's reputation as an in-demand bassist: while working on TTB's upcoming third record, the excellent Let Me Get By (out January 29 on Fantasy Records) he was pulling double duty as part of David Bowie's handpicked band on what would turn out to be his final album, Blackstar. "Tim Lefebvre has always been right on the edge," Trucks tells Exclaim! "Even 15, 20 years ago he was doing stuff, just him and a drummer, in smoky NYC clubs playing really esoteric, avant-garde material. Really, he's still doing that. Tim was flying back and forth between New York and Jacksonville from our session to [Bowie's] session. We were definitely thinking about Bowie all the time. You know, Tim had alluded to the fact that he was sick. So we were thinking about him, and listening to his music in a bit of a different light. But we had no idea that he was passing so soon. It was a shock to everybody." That's not the only connection between Let Me Get By and the late, lamented Starman — fans will have the chance to hear the TTB's take on Bowie classic "Oh! You Pretty Things" if they pick up the deluxe edition of the new record. Tedeschi explains how this bit of kismet came about: "J. J. [Johnson, co-drummer for TTB] had brought the song to us a couple years ago and thought maybe we should try it. And then when Tim joined the band, he started talking about how he was going to play with Bowie, so then we just figured we'd try it. We started to mess around with it one day and recorded it. But we didn't think much of it — I mean, we thought it was a great tune, and that it was a lot of fun. We performed it live maybe once or twice, and then we put it aside. I was always happy that we did it. I thought it sounded great. So when we were thinking about bonus tracks we thought it made sense to stick it on. We were so hoping to meet Bowie but… it just didn't happen." See Tedeschi Trucks Band perform "Oh! You Pretty Things" at the 2015 Sunshine Blues & Music Festival below.